She was built as a three-mast steel barque by the yard of J.C.Tecklenborg, Bremerhaven for the Deutsche Schulschiff-Verein. 14 January 1914 launched under the name GROSSHERZOG FRIEDRICH AUGUST. Tonnage 1.701 gross, dim. 98.00 x 12.60 x 7.10m., draught 5.10m, length bpp. 75.50m. Powered by a diesel engine 450hp. Crew 24 and 180 cadets. 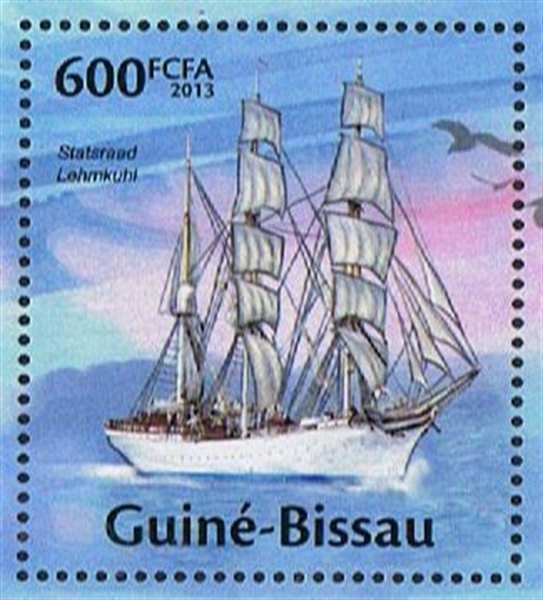 Built as a training vessel for the German Merchant Marine. Built before the First World War, and after the war broke out, she was only used for short voyages. After the war at reparation payment to England, managed by J.Couil & Sons at Newcastle. But if she ever was used under English flag is doubtful, built as a training vessel, she could not be used as a cargo vessel. 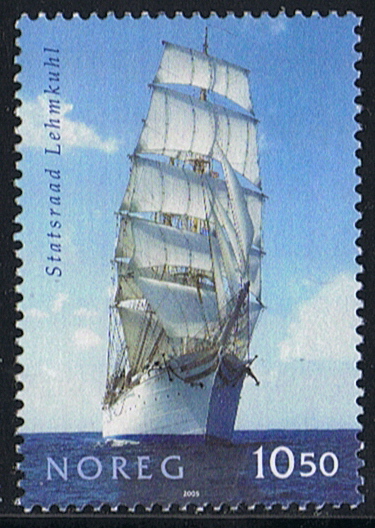 1923 Sold to the Norwegian Shipowners Association, and renamed STATSRAAD LEHMKUHL. She was named after the manager of Det Bergenske Dampskibsselskap (Bergen Line) and a former Cabinet Minister Kristofer Lehmkuhl, for his work to bring the vessel under the flag of Norway. She made thereafter one voyage with 200 young trainees. 1924 Transferred to the Bergens Skoleskib (Bergen Schoolship) Foundation. Until 1939 used as a training vessel every year from April till September. Between 1940 and 1945 confiscated in Bergen by the German forces, and renamed WESTWÃRD, used as a depot ship by the German Navy. 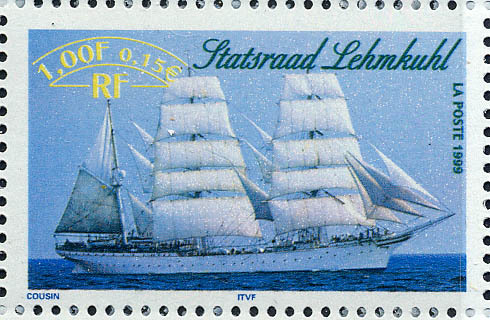 1945 Renamed STATSRAAD LEHMKUHL, and refitted to schoolship until April 1946. Used again as training vessel, but with reduced government funding and fewer students, higher running expenses, the STATSRAAD LEHMKUHL was not more economical to run, she was first used for one year as a stationary schoolship by the Fishery School, and then again as a stationary schoolship by the Bergens Skoleskib. 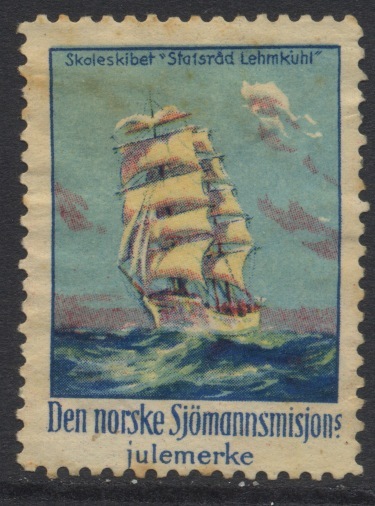 1952 Again in use as a sailing schoolship till 1967, when the Government of Norway ended her subsidy. 1967 Owner Hilmar Reksten from Sjøsanger near Bergen bought her, and after repair and modernization again used as training vessel until 1973. 1973 After the oil crisis laid up at Bergen. 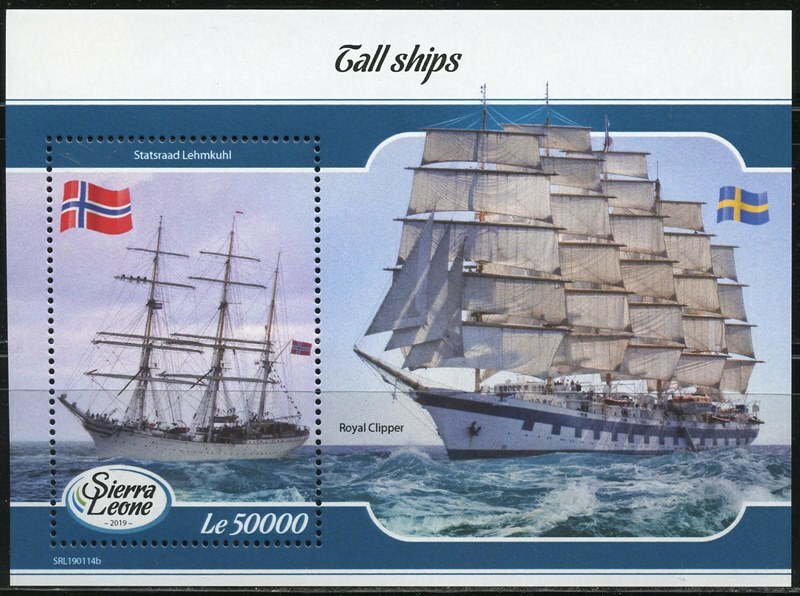 1978 She was donated by Reksten to Stiftelsen Seilskipet Statsraad Lehmkuhl. Used again as a train-sailing vessel. Between 1997 and 1998 she underwent extensive restoration, a new teak deck was laid, and a new navigation deckhouse built. Now fitted out with a diesel engine of 1.125 hp., speed 11 knots, the fastest speed under sail was 17 knots. Tonnage given as 1.516 gross. Can now be chartered for long or short voyages, she is many times a participant in the Tall Ship races. Maximum passengers during fjord trips, 350 and on sail cruises 150. France 1999 1F 0.15E sg? Sources De Laatste Grote Zeilschepen by O. Schäffelen. Guinea Bissau 2013 600 fca sg?, scott?